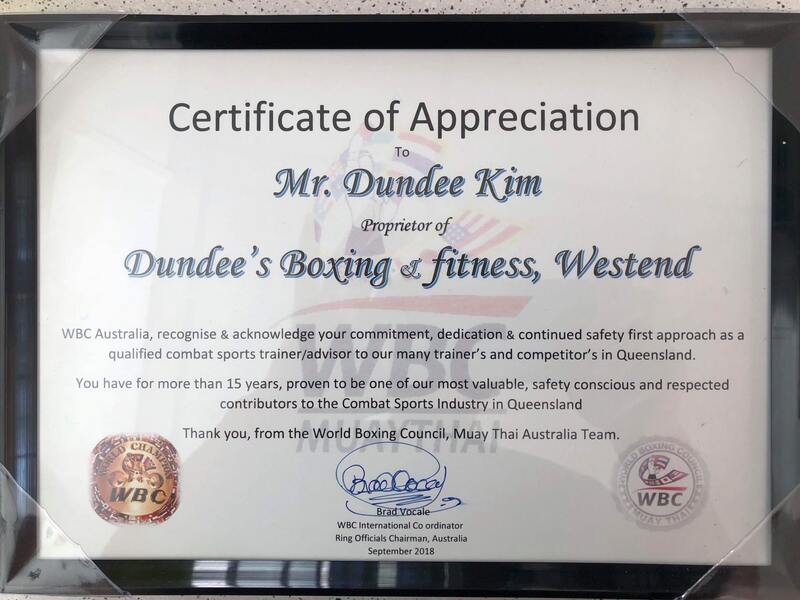 Dundee Kim has been recognised as a committed, dedicated, safe and qualified combat sports trainer by WBC (World Boxing Council) Australia! 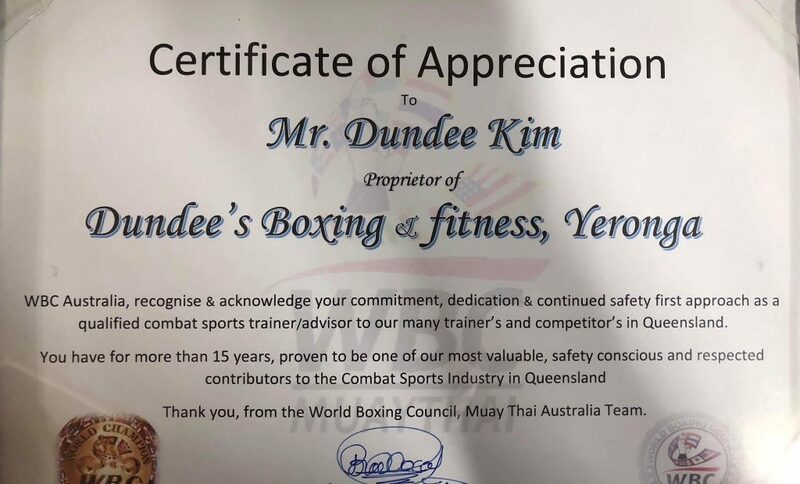 Both of Dundee’s gyms – the West End and Yeronga branches – have been provided with a Certificate of Appreciation. We can’t wait to hang these certificates on the walls!